I think the item in the advent calendar today has caused the inner magpie in me to come out. It presented me with a nail bottle shaped door and I was curious as to see what one I would end up with today and if it would be more winter suitable or yet another polish for the heights of summer. As it remained in the advent calendar slot I was unsure as to whether it was a grey or very dulled down blue with a bit of sparkle but as I popped it out I quickly established it was a shiny grey that almost looked silver but not with quite enough glittery punch. 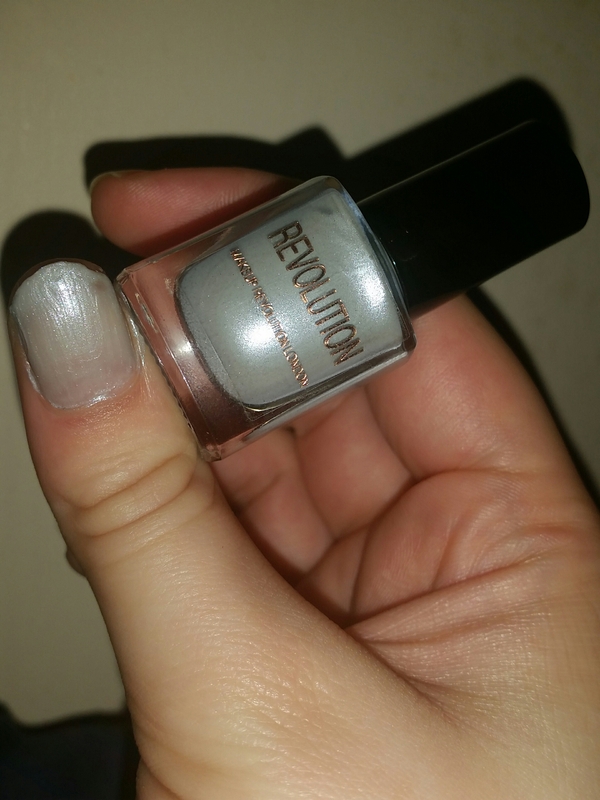 This polish doesn’t seem to be as opaque as the other ones from Makeup Revolution that I have encountered and after two coats I feel that it would still need another coat to really seal the colour onto the nail to look perfect. It can very much be used as a nail polish for the Christmas period even if it is just as an accent nail with a deeper colour on the others or to go alongside a colour that matches an outfit a little better. 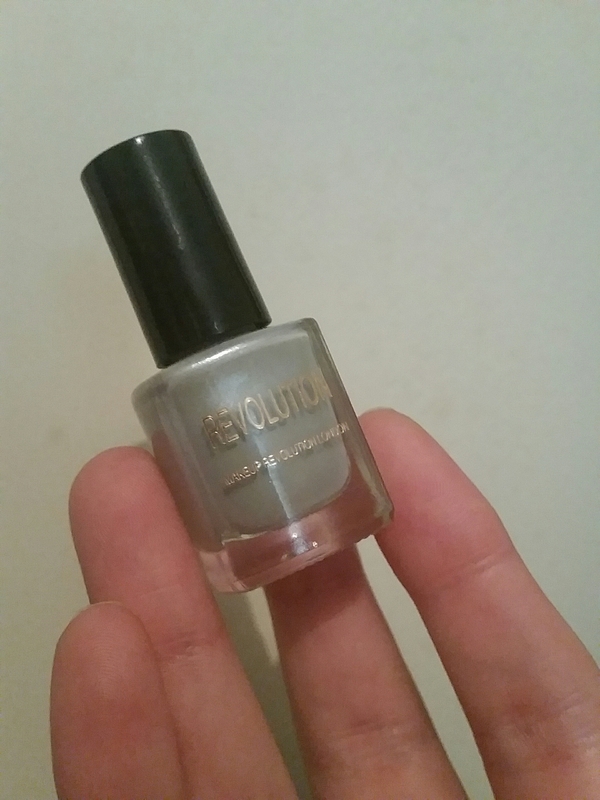 This is a fantastic shade and formula though and I look forward to adding it to my collection and using it in various ways to add a bit of shimmer to my nails!